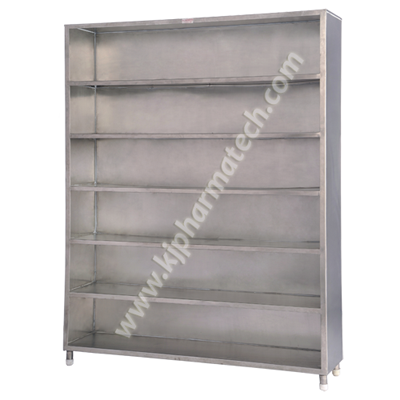 The lien rack we offer are designed keeping in concern the proper organization of the fabric material while avoiding any crease or damage to the same. We supply them in many different sizes and designs with compartments and proper space allocation for effective and neat storage. These are made flawlessly and robustly under the guidance of our experts with high quality material procured from the most reliable vendors of the market as well as the latest technology machines and equipment in observance to the industrial standards. This aids in offering our clients quality products that can be used enduringly with minimal wear damage even after years of rough handling. These are corrosion well as rust resistant and are very cheap in their pricing as well. We are highly preferred clean room furniture exporters of India as well.